‘Reiki’ (‘ray-key’) is a Japanese noun that can be translated in many ways. Sometimes it refers to the original spiritual practice Mikao Usui founded, sometimes it refers to styles of Usui Reiki Ryoho that have been altered in different ways, and sometimes it refers to things that have nothing to do with the spiritual practice Usui Sensei created. This is why the first question people ask when another says Reiki is, what style of Reiki are you talking about. Breaking Reiki down into rei and ki for a meaning is the same as breaking down kidnap into kid and nap for the meaning of kidnap. As I explain in classes there is another Japanese noun, which begins with Rei that actually does have the translated meanings that some people say is Reiki. It is good to know the resources of what a person teaches or writes about any subject. My sources are Hirohsi Doi who in 1993 joined the Usui Reiki Ryoho Gakkai, and Rev. Hyakuten Inamoto who is also a Buddhist monk; each Japanese Shihan lives in Japan and has only 2 Shihans between himself and Mikao Usui. In classes Doi Sensei shared many things such as a piece of history that he said enough time had passed so that he was able to tell us the truth surrounding Hayashi Sensei’s passing (death). My Canadian Usui Reiki Shihan, prior to Doi-Sensei and Hyakuten-Sensei was an excellent source because of the years he spent researching factual history through Japanese sources and he also studied under Doi-Sensei and Hyakuten Sensei. In my eight student manuals I give only to my students in classes, I tell all my sources including World history facts that some people forget when telling distorted stories. Because Usui Reiki is a piece of universal energy and the universe allows freewill, it will never flow to any life that does not want it. Therefore, no one can force actual Usui Reiki Ryoho onto any life form. What is Reiki, what is Usui Reiki, what is Usui Reiki Ryoho, and what is Japanese Reiki are all different questions with different answers as I explain in detail in classes. What you see here is an introduction similar to the intention of the book Iyashion Gendai Reiki-ho by Hiroshi Doi written to introduce Gendai Reiki-ho, the style of Usui Reiki Ryoho he created to weave this beautiful piece of universal energy into modern daily life. Today’s world in some areas is swamped by artificial energy and mechanically manufactured fields of energy. This can have a negative impact on a quiet world that was regulated by the natural influences of pure universal vibrations. When Usui Reiki relates to the pure spiritual practice Mikao Usui founded it is the raft that helps you through the swamp of manufactured energy. Light has been intertwined in spiritual practices and beliefs for centuries, which is why we hear Shihans practicing pure Japanese styles of Usui Reik Ryoho say Reiki light. Reiki light’s meaning is the most beautiful and nourishing light that goes description because it is not the same as any light on this plane. Mikao Usui did not claim that he was master of the original spiritual practice/healing art he created and obviously no one can master universal energy. After completing four or more levels of a style honoring Usui Reiki Ryoho and practicing for years a person might call him or herself a Shihan (master instructor or teacher of high standing). When people begin teaching styles honoring Usui Reiki Ryoho they call themselves teacher or KYOSHU. Usui Sensei was a master, grand master and beyond in martial arts, not the spiritual practice he created. On his memorial he is referred to as simply Sensei, which gives the meaning of him being ‘the’ honorable teacher. 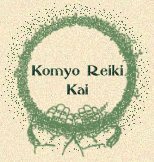 Gendai Reiki-ho and Komyo Reiki Kai are Japanese styles that embrace the quintessence of what Mikao Usui created after he attained enlightenment and through extremely deep meditation and fasting opened to a piece of universal energy. They focus on the well-being of the whole life. One of the ways Usui Sensei (honorable teacher) first referred to his simple yet profound teachings was a ‘Method to Achieve Personal Perfection‘ international © 1999. True health is only restored when mind, body and spirit are in-balance and working together in harmony. There is natural beauty in what is simple, and when you add in the profound, such as in Usui Reiki Ryoho, it is amazing. 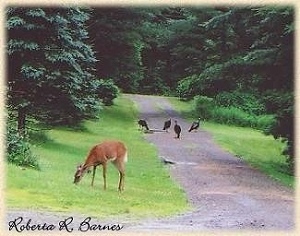 To your right is the simple beauty I enjoyed one spring morning outside my natural healing studio. Wildlife doesn’t search for ‘state of art’ ways to make things better, they simply are in-harmony with the natural world/universe around them and follow their dharma (A sanskrit word with a simple meaning that I explain in classes). When mind, body, and spirit are in-balance and with harmony you do not have to search for better because you simply return to your natural state of wellbeing best for you at that junction in time. The vibrations of universal love and harmony cannot be measured, manipulated, or touched, but this piece of universal energy is as real as the air you breathe. Mikao Usui created only 3 symbols in 1925 for those students who needed something visual to equate with such a strong yet gentle and beautiful energy. Once his original spiritual practice crossed the oceans various teachers felt their own need to create their own symbols for various reasons. I introduce the three symbols Usui Sensei created in Okuden/Chuden. Many of my students ask if they have to use the symbols because listened in Shoden classes and practiced the exercises enough to resonate fully with vibrations. In the third level, which is a spiritual level preparing a person for the fourth teacher’s level, there is time given to transcending all symbols and any other training wheels. Whatever you believe becomes your reality, your way of viewing everything. A quote from Buddha, “one cannot be on the path without becoming the path”. A quote I learned years ago is, “In what is seen should one be the seen”. In 1922 Usui Sensei created an original spiritual practice. This included a method to open others to these amazing vibrations. We know this spiritual practice as Usui Reiki Ryoho, but being without ego at all times he simply called it my method. The spiritual practice that Mikao Usui created is a journey within your life’s journey to improve the quality of your life and the lives of those around you. You cannot change anyone other than yourself, but you can offer healing love and harmony simply through your vibrations. In classes Japanese exercises allow you to resonate with Usui Reiki so that it easily flows through you to bring balance and harmony that heals mind, body and spirit together, without dependence on symbols or material objects. Since Mikao Usui’s passing in 1926 some teachers/instructors have taught his method/spiritual practice in different ways. I have found that anyone committed to learning this beautiful spiritual has no need for training wheels, once he or she benches the analytical mind and ego. Mikao Usui’s memorial stone in Japan gives the year, 1921, in which he connected to a piece of universal energy following enlightenment. Just as a baby is not born with an instruction manual the piece of universal energy Usui Sensei opened to did not come with instructions. Being able to create a way to share what had been bestowed upon him in only a year shows Usui Sensei’s intellect and his passion for helping others. Usui Sensei recognized that there is an inner healer within all people and other life forms; he created a way to teach others how to allow Usui Reiki to awaken, realign, and enhance the inner healer plus bring balance and harmony to all atoms in mind/body/spirit together. The Japanese styles such as Gendai Reiki Ho and Komyo Reiki Kai are not slowed down by complicated procedures; like nature they are beautifully simple yet profound, and heal in the way that is best in the time frame best for the life receiving. Usui Reiki is not life force energy, viral energy, or Ki/Qi. It cannot be given an exact definition; it is the universal vibrations of unconditional love and harmony, a piece of the source. The actual meaning is something you can only know in your heart. Usui Mikao (correctly written) spent many years in Buddhist and other studies for his self-growth, before he attained enlightenment and opened to a piece of universal energy during deep disciplined meditation while fasting. When you know the factual history it is easy to see why you cannot teach yourself Usui Reiki Ryoho or learn it through a book, DVD, or instant download. As originally created Usui Reiki Ryoho does not create a need for anything. Drinking water is not required unless you are thirsty. Eating certain foods or following certain procedures before or following a Usui Reiki Ryoho healing session or classes is not required–the universe allows freewill. I enjoy allowing Usui Reiki Ryoho to blend with the harmony of nature. While taking a photograph of what I thought was a baby humming bird, I heard a buzzing to my left. Looking to see what it was I saw an actual hummingbird hovering and looking directly at me. 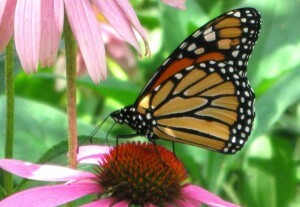 When I looked back at what I had been trying to photograph I saw it was a moth often called a fake humming bird. The universe is endless/timeless and there are infinite cosmic energies; universal energy has an infinite number of vibrations and cords (as in music) within those vibrations. The piece of universal energy that Mikao Usui connected with, and developed his method around, is the vibrations of universal unconditional love and harmony. We all know how powerful love is; as a visual Dr. Emoto showed us the beauty of a water molecule that had absorbed vibrations of love. Mikao Usui passed away in his sleep after a long day of giving blessings/healings March 9th, 15th year of Taisho (A.D. 1926). *** He was born August 15, 1865. Mikao Usui said in his humble way, “For achieving my teachings, training and improving physically and spiritually and walking in a right path as a human being, first we have to heal our spirit. Secondly we have to keep our body healthy. If our spirit is healthy and conformed to the truth, body will get healthy naturally. Usui Reiki Ryoho’s missions are to lead peaceful and happy life, help others heal and improve opportunity for happiness of others and ourselves.” international © Hiroshi Doi 2002– thank you for respecting this copyright. Usui Sensei’s compassion caused hum to create 3 symbols in 1925 for those students who needed something visual to understand energy/vibration. Prior to that he had not used symbols. It is the vibrations and not symbols that heal, but if a student was willing and ready he would go that extra step to help him or her learn. As you learn in classes the 3 cover so much that there is no need for any more, and you transcend those as you learn to fully resonate with universal energy and easily recognize varying vibrations given off from the receiver. I was pleased that Hyakuten Sensei in class handed out documentation of Usui Mikao’s posthumous name showing he had been Buddhist all his life. I include a copy of this in my Shoden manuals along with details of Usui Sensei’s his first and second awakenings. While his second awakening has been told in various way, the importance of his first awakening is best not to be overlooked. I explain that importance in Shoden classes. All my manuals are a combination of Hiroshi Doi’s and Rev. Hyakuten Inamoto’s student manuals and notes I took in their classes. With so much to learn no level can be done in just one day and then it takes weeks, months sometimes years of practice before you know you are ready to move on to the next level. Usui Reiki Ryoho is a journey that you travel at your pace, with the last part of the journey being with the weight of symbols or material objects holding you back. With each level your vibration raises and you are connected more fully to universal unconditional love and harmony. Each level is honorable and can improve the quality of your life and the lives of those around you. What I am sharing here are only some of the basic facts of this amazing man and the beautiful gift he shared with the world. My Shoden student manual has approximately 17 pages of factual history in its 70 plus pages. Much more is shared in the manuals for levels two, three and four. The five short lines of the simple yet profound Usui Reiki Gokai (five precepts or principles), is the key to health and happiness. One English translation from a Japanese person living in Japan is as follows. Each line begins with today only. Today” is Now, a moment that is often referred to as the present moment. Now is all you have and your life is but a collection of present moments. 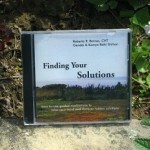 In classes I explain more reading an example given to me by one of my Shihans. . The meaning behind the words, as I explain in classes and my manuals, goes beyond any dictionary’s meaning for each word. Usui Reiki Ryoho is no worry about whether the glass is half-full or half-empty, but instead is accepting what is within and moving forward in the best positive light for you. The documented healings, and healings I have witnessed when Usui Reiki has been allowed to flow are nothing less then awesome. While medical care should never be ignored or stopped without consulting the attending medical care professional, adding Usui Reiki healing sessions into the recovery process from any illness or injury allows you to heal faster and better than expected; I can state this without reservation as I personally have experienced it. More and more hospitals welcome qualified Usui Reiki Ryoho practitioners with certificates from qualified Shihans (master instructor) coming in to assist in the healing process of those patients who have requested it. The sun may set but the universal vibrations of Usui Reiki Ryoho flow without harm even while you are sleeping. The next time you hear something new about Reiki, stop and remember the world’s history from Usui Sensei’s birth to the year following Hayashi Sensei’s passing on. Also ask where that information came from; it is not yours to judge, but it is yours to believe or not to believe. 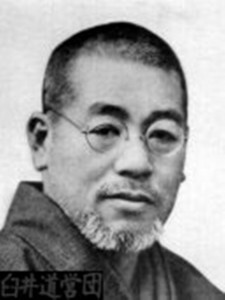 Usui Reiki Ryoho is the original spiritual practice Mikao Usui created in 1922; in his humble gentle way he never claimed it to be better than any other healing modality. Usui Reiki Ryoho can be visualized as the nourishing sunlight that connects the earth with healing balance and harmony the morning following a disaster. Copyright (C) 2005 Roberta R. Barnes Natural Healing & Learning Center. All rights reserved. Thank you for respecting the © on all the information I, Roberta R. Barnes, am sharing with you and not copying anything from this website without my written permission. My journey has been long and I ask that you respect/honor those I have been blessed to have studied directly under . Resources for this article and sources of quotes are; Hiroshi Doi-Sensei and his Gendai Reiki Ho Healing Kyokai class 2002 (Hiroshi Doi jioned the URR Gakkai in 1993), Rev. Hyakuten Inamoto-Sensei and his Komyo Reiki Kai class 2003, Richard Rivard Reiki Shihan I studied with from 1996 though 2001. Interviews and research done by Usui Reiki Ryoho colleagues Richard Rivard, Tom Rigler, Dave King and Don Beckett. © Roberta Barnes In understanding copyright of articles on the net please read 10 Big Myths of Copyright Explained.